This protocol sends MPU6050 gyroscope data in timed cycles to the user. You can set the type of data you need and the cycle time. Defaultly it sends these data: acceleration including gravity, actual angle and temperature) in every second. Defaultly sets clock source to X Gyro, which is slightly better than the internal clock source. How to build a test circuit with an MPU6050 and an Arduino Mega? type String "OzGyroscopeSensor" Determines the type of the device. t Byte 0-255 Counts the number of responses and events sent combined. Counts from 0 to 255 then from 0 again. Be aware that the t of the commands differs from the t of the responses and events. Measures the offsets of your newly connected MPU6050 and calibrates it, this can take a minute, just lay it on a horizontal surface and do NOT touch it, just sit back and relax. This is important for the MPU6050 to work properly. The MPU6050 automatically saves the calibration so you do not need to recalibrate it everytime. c String "auto_conf" Identifies the command. sample_size unsigned int 0-65535 Optional parameter, default value: 1000. The size of the measurement sample during the calibration. The longer the sample size the more time the calibration will take. t Byte 0-255 Counts the number of commands sent combined. Counts from 0 to 255 then from 0 again. Be aware that the t of the commands differs from the t of the responses and events. c String "auto_conf_resp" Identifies the command. sample_size unsigned int 0-65535 The size of the measurement sample during the calibration. Sets the acceleration range, gyroscope speed range and the clock source. The smaller the range the more precise is the measurement, because all axis (x,y,z) is measured on 16 bits. Sets the clock source to use the X Gyro for reference, which is slightly better than the default internal clock source. c String "set" Identifies the command. acc_range specific bytes 2, 4, 8, 16 Sets the +/- g range of the accelerometer. c String "set_resp" Identifies the response. acc_range specific bytes 2, 4, 8, 16 The +/- g range of the accelerometer is set. gyro_range specific ints 250, 500, 1000, 2000 The gyroscope to +/- degrees/s speed range is set. Ask sensor values from MPU6050 in real time. You will receive acceleration, gyroscope, angle and temperature values in the response. 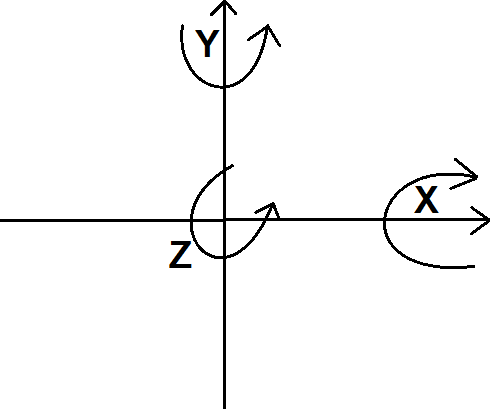 Receive acceleration, gyroscope, angle and temperature values in the response. You can see more specified information of each measurement below the table. c String "getvalue_resp" Identifies the command. 16 * 9.80 = 156.80) Shows the acceleration including gravity in x direction. accy Double -156.80 to 156.80 Shows the acceleration including gravity in y direction. accz Double -156.80 to 156.80 Shows the acceleration including gravity in z direction. rotx Double -2000 to 2000 degrees/s (if set in the highest range) Show the current rotation speed in X direction of the MPU chip. roty Double -2000 to 2000 degrees/s Show the current rotation speed in Y direction of the MPU chip. rotz Double -2000 to 2000 degrees/s Show the current rotation speed in Z direction of the MPU chip. angx Double -90.00 to +90.00 Degrees. The current angle in X direction of the MPU chip. It is relative to the calibrated ("auto_conf" command) angle which is 0.
angy Double -90.00 to +90.00 Degrees. The current angle in Y direction of the MPU chip. It is relative to the calibrated ("auto_conf" command) angle which is 0.
angz Double Full Double range Degrees. The current angle in Z direction of the MPU chip. It is relative to the bootup angle which is 0. Shows the acceleration component of the forces effecting the MPU6050. When layed on surface it shows the gravity (9.80 m/s2). Shows the actual rotation speed in degrees/sec of the MPU6050 chip. Shows the actual angles of the MPU6050 chip.